Global Vigilance Combined Test Force members prepare a Global Hawk remotely piloted vehicle to perform icing test flights. The aircraft was fitted with a 3-D printed nylon structure to duplicate the weight and drag of ice forming on wings and tail. 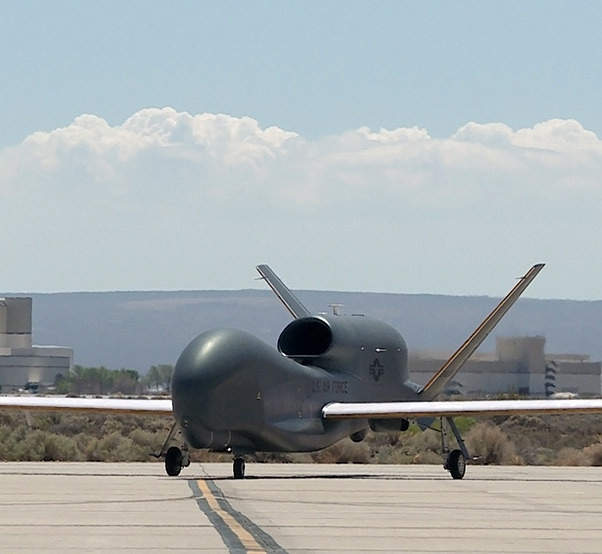 A cloud deck from about 8,000 feet to 22,000 feet is the main concern for the Global Hawk, according to project engineer Jonny Kim, Global Vigilance Combined Test Force at Edwards Air Force Base, Calif. According to Maj. Ryan Finlayson, test pilot with the Global Vigilance CTF, the ice only forms for about five minutes on the way up, and again on the way down through this cloud deck. 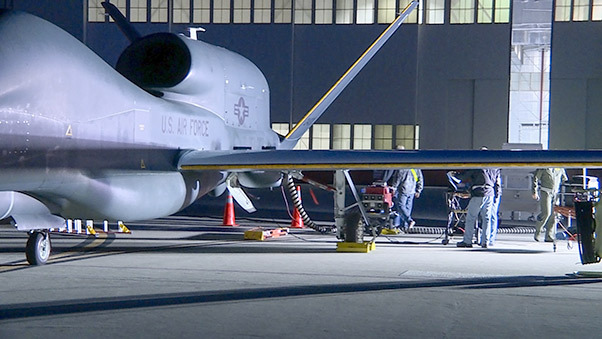 To assure that these variables will not negatively impact the Global Hawk’s role, members of the Global Vigilance Combined Test Force here are testing the aircraft in a unique way. Rather than wait for the right weather conditions, the formation of the cloud deck, technology was used to design 3-D printed nylon attachments to mimic the ice that would form on the aircraft during ascent and descent. “This was a first-of-type testing done here at Edwards. No other program or CTF has accomplished icing testing in this manner,” said Lt. Col. Cory Naddy, director of the Global Vigilance CTF. He said the combination of the testing techniques and the fact that this is an autonomous unmanned air vehicle made the testing high risk by wing standards, and required significant effort behind the scenes in the CTF. 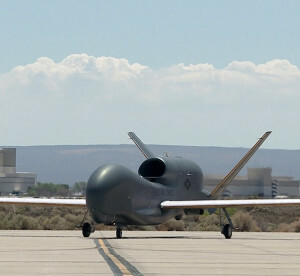 A Global Hawk remotely piloted vehicle taxis on the Edwards Air Force Base, Calif., flightline during an icing test mission. 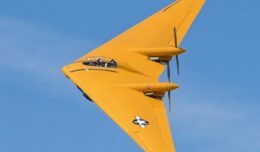 The aircraft was fitted with a 3-D printed nylon structure to duplicate the weight and drag of ice forming on wings and tail. The director explained they had models for predictions, but that was it. “Due to thorough preparation by the team, those models were done conservatively and the aircraft performed better than initially expected,” he said. These forms were then attached to the leading edges of the wings and ruddervators (the tailfins) of a Global Hawk. Once ground tests were completed, the CTF prepare the aircraft for actual flight testing. The aircraft was flown with different fuel loads, first with a medium load and then two more flights with heavy fuel loads. “We started at lower altitudes and worked our way up.” Maj. Finlayson. The pilot said these tests may not lift any flight restrictions on the Global Hawk, but they do open the door. “We’ve shown that the aircraft is flyable if it picks up a bit of ice,” he said. The simulated ice was made using a process called selective laser sintering (SLS). According to Kim, the process uses a bed of powder, and a laser solidifies the powder to create shapes. Sintering can be done with several materials, including glass, metal and nylon. “SLS allows for complex geometries without support structures and produces parts that are air and water-tight, heat resistant, and strong. This production process effectively saves time and money,” Kim said.